Orange and Deutsche Telekom announced the spring 2019 launch of the Smart Voice Hub called Djingo at the #ShowHello in Paris. 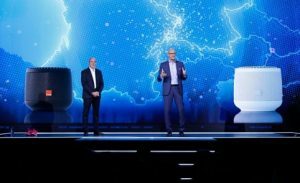 CEOs Stéphane Richard (Orange) and Tim Höttges (Deutsche Telekom) presented the new smart speaker that uses artificial intelligence. This is a pioneering project among Europe-based telco companies to develop their own voice assistant equipped with AI technology. In Germany, the speaker will be launched as Hallo Magenta. The state of the art solution ensures that customer data will be secured and processed in full compliance with Europe’s General Data Protection Regulation. In terms of sourcing, a team from BuyIn (DHP) successfully led the negotiations, from strategy alignment with the various stakeholders to defining the specifications and of course the supplier selection. BuyIn also secured a solid contract with a voice recognition and natural language understanding software provider. The commercial success enabled our mother companies to share the development costs as well as benefit from better prices thanks to the bundled volume. The partnership allowed an accelerated time-to-market by mutualizing resources. One crucial element of the contract is that both Groups can balance their volumes. This lets them benefit from the best possible prices and minimizes risks during market launch, such as in terms of forecasts versus sales results, with a common approach. If you want to know more about the topic, it is worth to check also the Homepage of Orange about the #ShowHello and Djingo. For more information about “Hello Magenta”, please read the media information of Deutsche Telekom. External auditors confirm that BuyIn has established effective measures against antitrust violations, highlighting several measures as best practices. 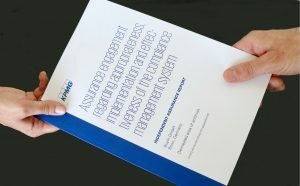 Independent auditors from KPMG certify in their report that antitrust compliance is deeply integrated in relevant procurement processes at BuyIn. The company has established Antitrust Guidelines that outline specific rules to ensure antitrust compliance while successfully doing business. “I’m delighted that independent auditors have endorsed BuyIn’s system, which focuses on our employees’ understanding of the Guidelines and their integration into the daily business. 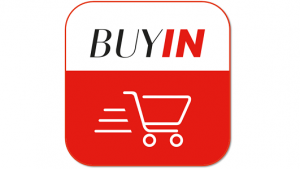 Combined with smart tools, we manage to deliver the highest standard of antitrust compliance for our Alliance members,” says Sven Büschgens Compliance Officer at BuyIn. The audit report contains no material findings or recommendations, but identifies BuyIn as a company with several best practices. Strong monitoring of compliance measures and controls (quarterly self-assessments by individual teams) and additional monitoring by the Compliance team. You can see the details of the audit, its content and the audited units in the official report. “This is a great result that all the teams at BuyIn can be proud of. The most important factor in running a successful business is that our customers, business partners and employees are confident in our company and the work we do,” says Guillaume Breton, CFO and General Secretary at BuyIn. 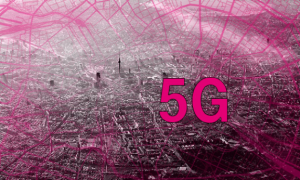 The Procurement Alliance was involved from day 1 in the Deutsche Telekom drive to become the first operator in Europe to create a 5G data connection in a live network. BuyIn was responsible for first setting up an agile MOU. Consequently, the company ran contract negotiations with suppliers under a tight schedule and complete confidentiality to make sure Deutsche Telekom could meet its goal. Read more about the DT 5G rollout in Germany here. With its spirit of innovation, BuyIn has scored finalist positions in all three categories it entered for this year’s World Procurement Awards. The Marketplace App was submitted in the Innovation Award category, focusing on how the app benefits users in the NatCos by putting price transparency and market intelligence from across our footprint at their fingertips. The Digital Office was submitted in the Procurement Team Award category as the enabler for cutting-edge analytics and automation features to enable more information sharing. And finally, BuyIn entered its digital transformation into the Transformation Award category, explaining how it is enabling decentralized, fact-based and agile negotiations. 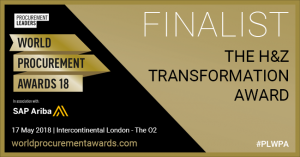 Click here for a look at the complete shortlist with all finalists per category as well as for the Procurement Leaders press release. BuyIn SAS and BuyIn GmbH have once again been recognized as a Top Employer in France and Germany. This marks the fifth time that the company has achieved this status. To view a list of Top Employers in Germany click here. The list of Top Employers in France is available here. This marks the fourth time that the company has achieved this status. Deutsche Telekom launched the Open Telekom Cloud at CeBIT 2016. The groundbreaking comprehensive cloud portfolio relies in part on hardware and solution know-how from China-based Huawei through a contract negotiated by the IT Hardware and Solutions team from BuyIn. The contract with Huawei was negotiated in just five months in a fast-paced, dynamic working environment, where requirements and details were developed and adjusted quickly and in parallel with the T-Systems IT Division and now taken over by the Digital Division. The BuyIn IT Procurement team was not only fully integrated but was also a key enabler in the project team at DT. Our colleagues from IT Procurement managed, together with Sales, the entire commercial stream as well as alignment with both internal and external stakeholders. They also leveraged the high level of motivation to create a revenue share-based contract model that gives both sides incentives for successful sales and development of the cloud solution while reducing the risk for DT to almost zero. Read more about the initiative in the DT Media Information. BuyIn SAS and BuyIn GmbH have been certified Top Employers France and Germany 2015 for the third consecutive year. At the Procurement Leaders Awards on May 20, 2014, BuyIn received an award in the category “Best Procurement Employer” and won a high commendation in the category “Procurement Excellence”.